Radio presenter, business consultant and amateur foodie thriving on living life, loving moments and just being a cheeky girl at heart. 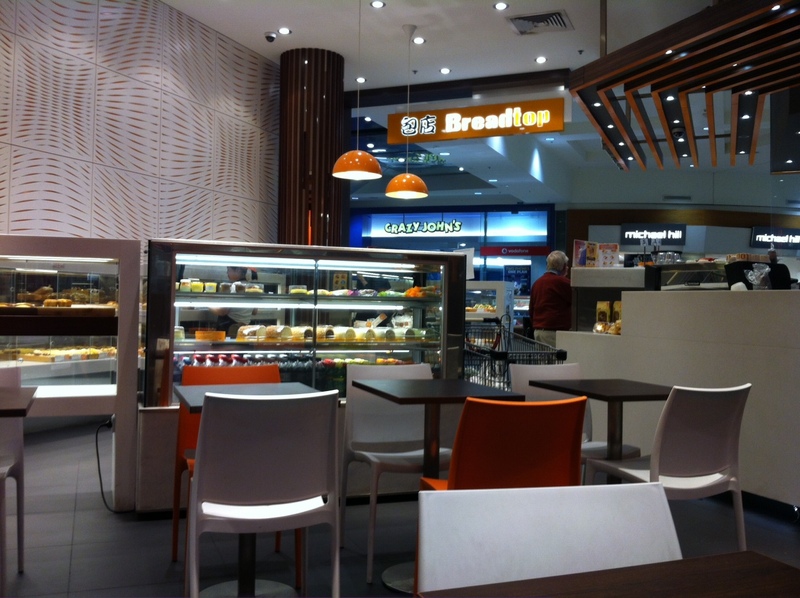 Most people are probably familiar with Bread Top by now, with franchises popping up all around Sydney. But have you tried their food? – if not, you've been missing out and should definitely stop in next time you are passing by a Bread Top store. 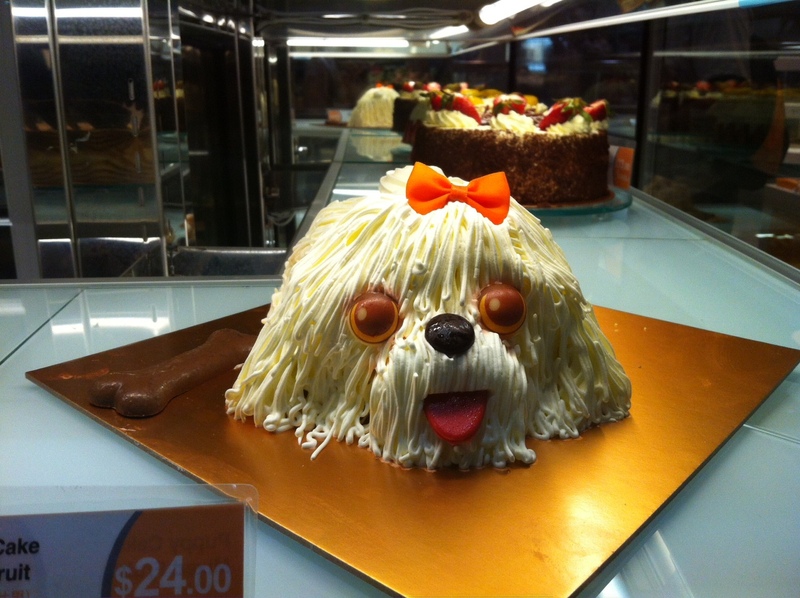 On this particular day, I had taken my 2 year old niece out to Hornsby Westfield and needed to find her a little snack. As we came down the escalator, I was very happy to spot Bread Top as I knew my niece loved the soft and sweet bread and would be very happy to tuck into something there. My niece happily chewed away on a Sausage Bun (she especially loves the cheesy sauce baked into the bun) while I had a moment of calm with a latte and nibbled on the morsels that she would share with me. 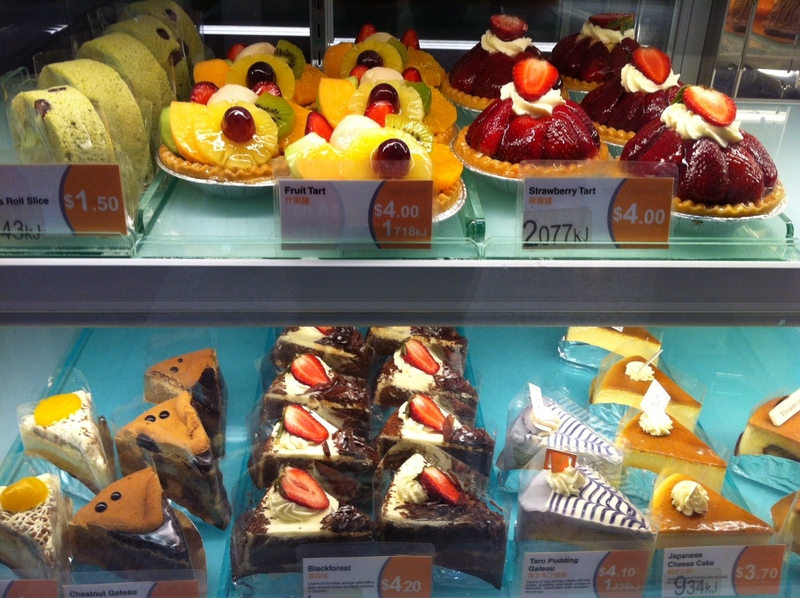 The baked goods at Top Bread are sweet and soft and deliciously moreish. The various flavour combinations – especially in the savoury range – are also very unusual but somehow really work well. 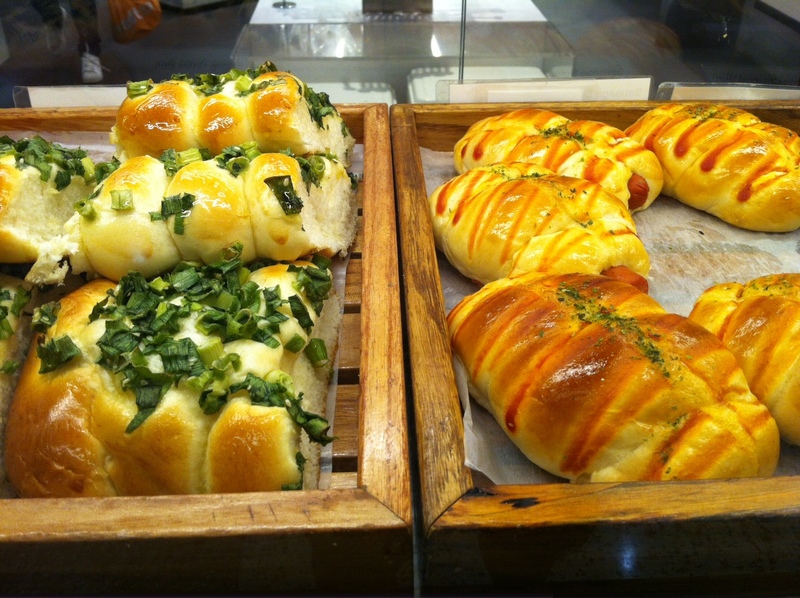 Bread Top is a self-service bakery, so grab a tray and some tongs and start wandering around the store, something is bound to catch your eye. Some of the more unusual options include the Pork Floss Bun (a sweet bun covered in a salty pork fairy-floss), a Crabmeat Bun, and the Tuna Bun – be adventurous and try one, you'll be pleasantly surprised. In the sweet bun range, the Custard Bun is a real crowd-pleaser or try something different like the Japanese Melon Bun or the Pineapple Coconut Bun. Bread Top also make a Mango Pancake (just like the ones you get at a good Yum Cha restaurant) oozing with fresh cream and mango slices. 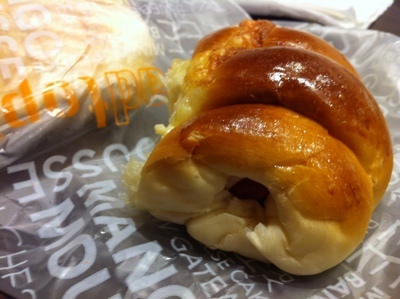 For something more substantial, Bread Top also offers bread loaves that you can take home. 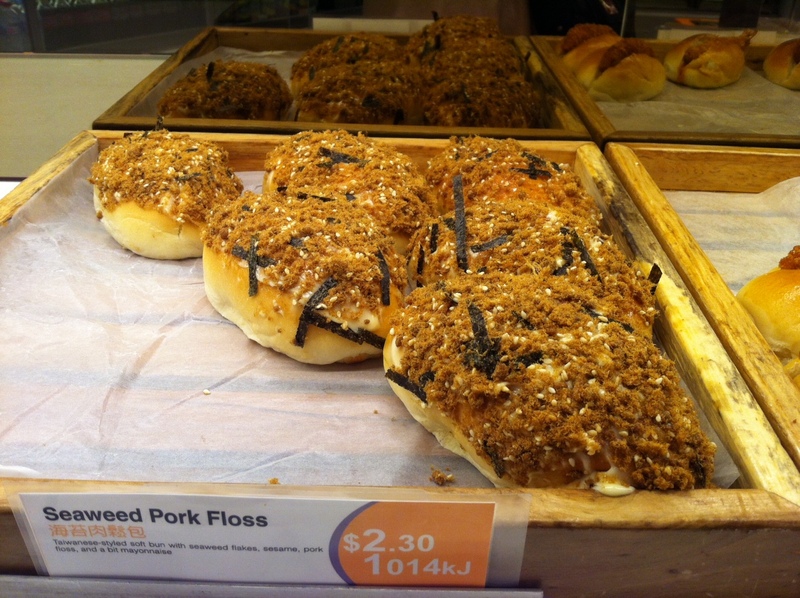 The range includes Coconut Bread, Ham and Cheese, Purple Sticky Rice and Taro Toast, in addition to usual plain bread. 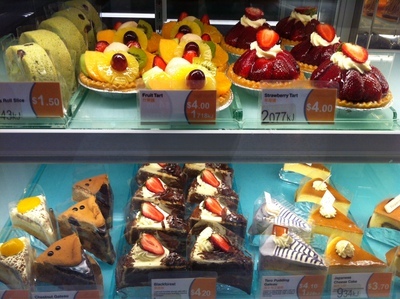 Bread Top also create a large selection of Asian inspired desserts and cakes such as the Taro Pudding Gateau, Durian Gateau and the Chestnut Gateau. For something very different, Bread Top also supplies these very cute puppy dog cakes – it took a while to pry my little niece away from this one. 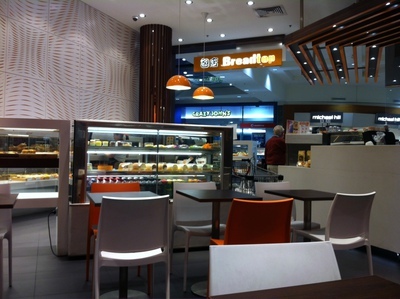 Most Bread Top bakeries are take-away only, however the Hornsby franchise has a few tables and chairs where you can sit and enjoy your selections after paying at the counter. The other thing I've noticed is that some Bread Top stores do offer Free Wifi (although this was not the case at Hornsby).